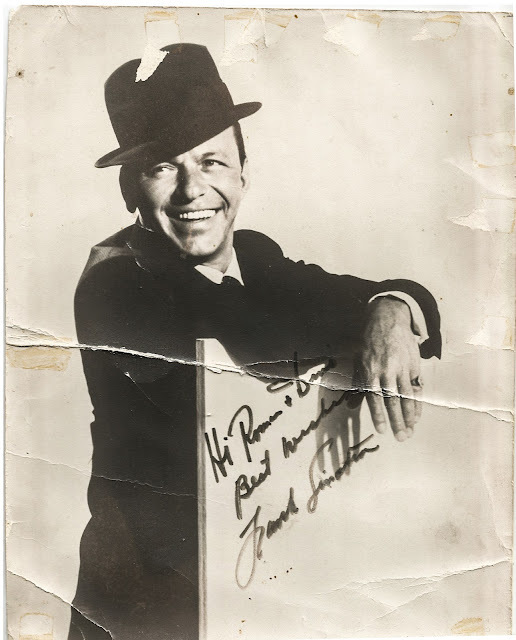 Here's a family heirloom passed down from my mother who had met Sinatra. He would send someone to deliver an autographed 8.5 x 11 photo. It reads: Hi Roman & Dino - Best Wishes - Frank Sinatra. Here's to Hoboken's Chairman of the Bad Attitude!